CORBA RAM Ride & Pancake Breakfast Rescheduled to January 15th! The Gabrielino Trail Restoration project was completed. Ken Burton Trail restoration was completed, opening a popular loop after seven years of closure and years of work. 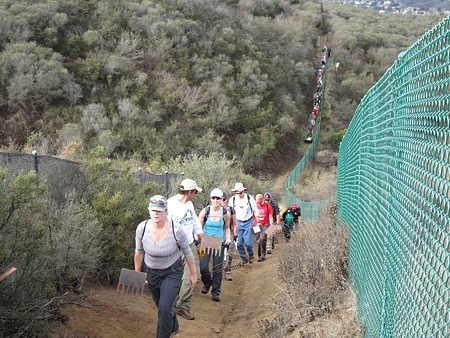 Trailwork days were completed with Los Angeles County, the Conejo Rec and Parks District, Point Mugu State Park, the Mountains Recreation Conservation Authority, the City of Rancho Palos Verdes and elsewhere. High School student-athletes, boy scouts, college students, Amgen and Giant Bicycle employees and many of our dedicated volunteers and members participated. We made progress towards bringing the first bike park to Los Angeles. LA County approved two plans that include bike parks. 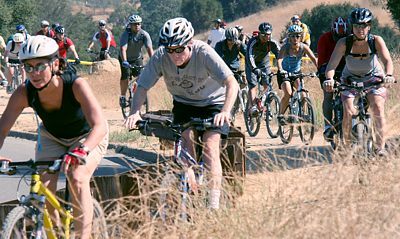 Thousand Oaks approved a bike park. BikeSGV began construction on the first public bike park in LA County. CORBA’s Steve Messer spoke at the California Trails and Greenways Conference on trail etiquette, and at the IMBA World Summit on the Teen Trail Corps. With Girlz Gone Riding we now have more women than ever on the trails. 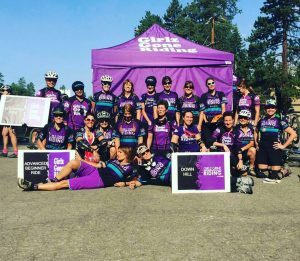 GGR’s event was rained out, but the support and camaradarie among so many women was incredible, and everyone still had a great time. The devastating Sand Fire closed a large portion of the Forest, right as we began work on the last remaining Station Fire closed trail, the Gabrielino. The Hastain trail lawsuit was overturned on appeal. IMBA lost a major sponsor creating new challenges (and opportunities). Confusion remains as to where the increasing numbers of e-bikes can legally ride. An important milestone, CORBA founder Mark Langton retired from the board. But after more than 20 years, he’s still volunteering every month to lead our free skills clinic (and again this Saturday). We gained two new board members, and IMBA has a new Board Chair. Have fun riding our bikes! What else could we be doing? What could you help us do, or do better? Let us know in the comments. CORBA is an all-volunteer organisation, led by a small but dedicated board of directors and key volunteers. If you’re not a current member, please join CORBA. If you are, convince a non-member friend to join. You can help us double our numbers in 2017. If you’re riding around Los Angeles, CORBA has been involved in making sure you and your friends have that opportunity. Just as importantly, remember why you love mountain biking. The feeling of freedom, of accomplishment, of challenge, of connection to nature, of camaraderie or solitude, and always of sheer fun. Those are among the reasons we all ride. Others are using the trails for the same or other reasons. Trails are getting more crowded as social media introduces more and more of the LA population to trails and our amazing open space destinations. We need to always be respectful of others just as we’d like others to treat us. Slow down, be friendly on the trails. Lead by example. That’s the most important thing you can do to support continued mountain biking access. And ride is something we all hope to do even more of in 2017. Happy new year! Save The Date! 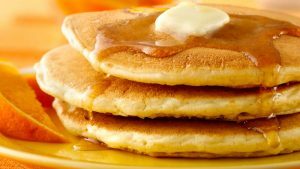 January 15th is CORBA’s Annual RAM Ride & Pancake Brunch! January 15th! Ride time 9am sharp: Meet at Wendy/Potrero Drive in Newbury Park. March 18, 2017: COSCA Spring Trailwork Day. It's too early to know which trail(s) we'll be working for Thousand Oaks' yearly event. We'll get the news out as we learn it. For now, save the date! Giant Bicycles and Amgen community outreach, December 5, 2016. 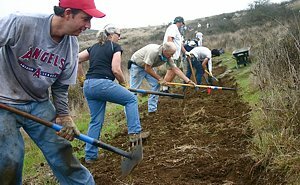 Workers from these two companies with headquarters in Newbury Park took Friday morning December 9th off from work to help repair the Los Robles Trail West as part of their company’s community outreach programs. We expected 30 volunteers but at least 37 showed up, supervised by three COSCA rangers and one of CORBA’s trail crew leaders. Because of the large turnout, we got the work done in record time. The work area started at the top of the most eastward Dragonback hill, almost a mile from the Felton St. trailhead, and continued for 0.4 miles towards the picnic table at Angel Vista. Work consisted of treadwork: digging out stumps, filling ruts, adding or repairing drainages, resloping and raking loose rocks off the trail. You can see the full report on our blog, along with a link to the photo gallery of the work. 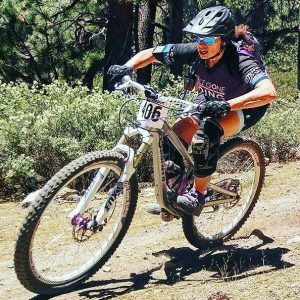 2016 marked a year not only in immense growth in the women’s mountain biking movement and GGR, but was a true year in growth for my own adventures on the bike. GGR added 2 new chapters in 2016! Specialized and Cynergy Cycles presented me with a 2016 Specialized ERA Expert for the 2016 season! WHAT an honor to ride this incredible machine! This bike earned me many podium spots and incredible adventures! I was so very honored to have ridden this bike for the season! The highlight every year for GGR is of course our annual Rocktober Festival. This year was different….new location….Castaic Lake and pouring rain. We still had well over 200 women that not only showed up but stayed the day. They rode around the lake, demo’d bikes, took a skills clinic and shopped at all the vendors. RST Suspension and REI were the title sponsors for this year’s festival. BOTH companies are very involved in their communities and support women’s mountain biking. This year’s community award went to The Squeaky Wheel Bike shop! The Squeaky Wheel Bike Shop. The most improved rider for 2016 went to Anne Yeoh of the Inland Empire chapter! Leigh Donovan was back again as head coach leading our skills clinic from I Choose Bikes. The date is set for the 2017 Rocktober Festival! October 8th at Castaic Lake! Registration opens August 18th. 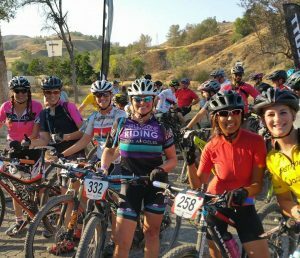 This is a FREE event for all women mountain bikers! Until next time….we at GGR wish all of you a bright new year of prosperity, health, happiness and most important…epic riding! To see more photos of GGR over the year, visit Wendy's blog article!